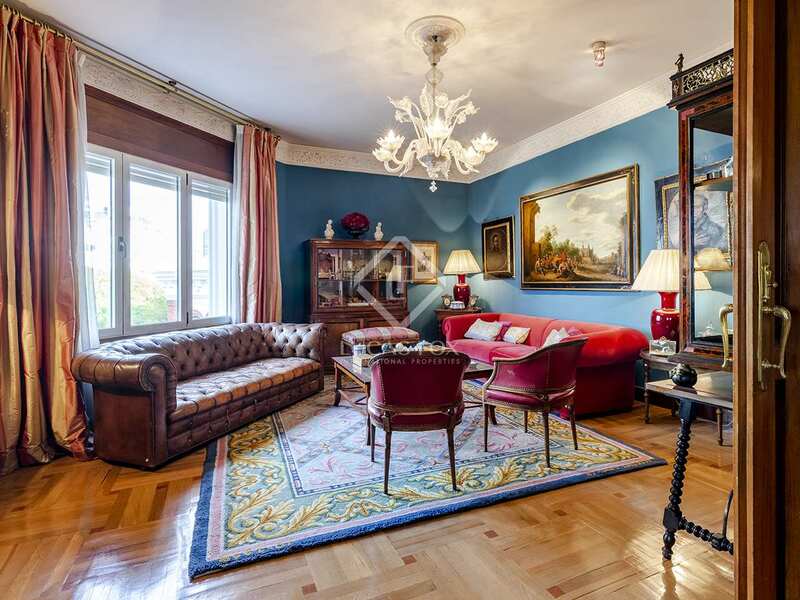 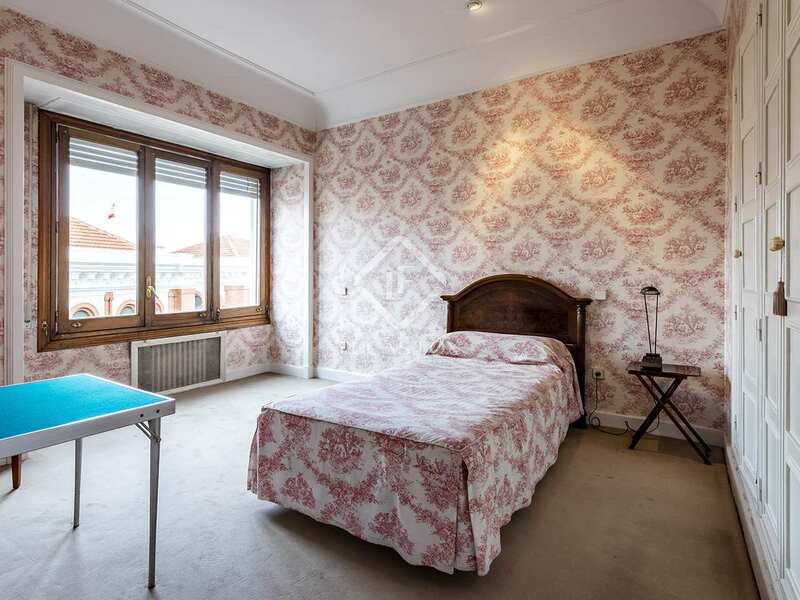 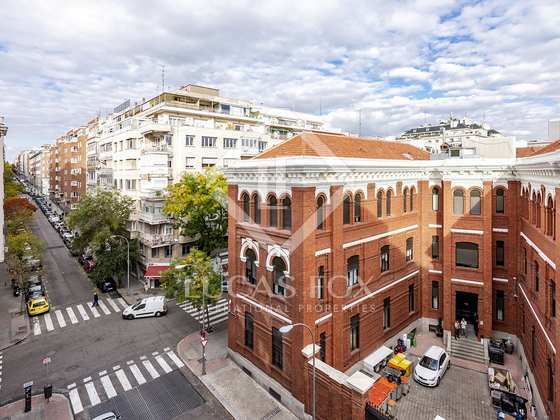 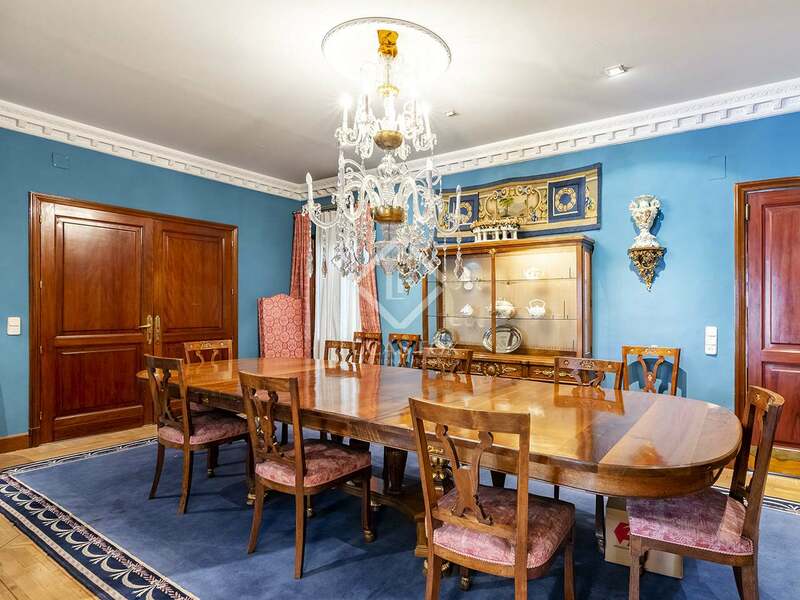 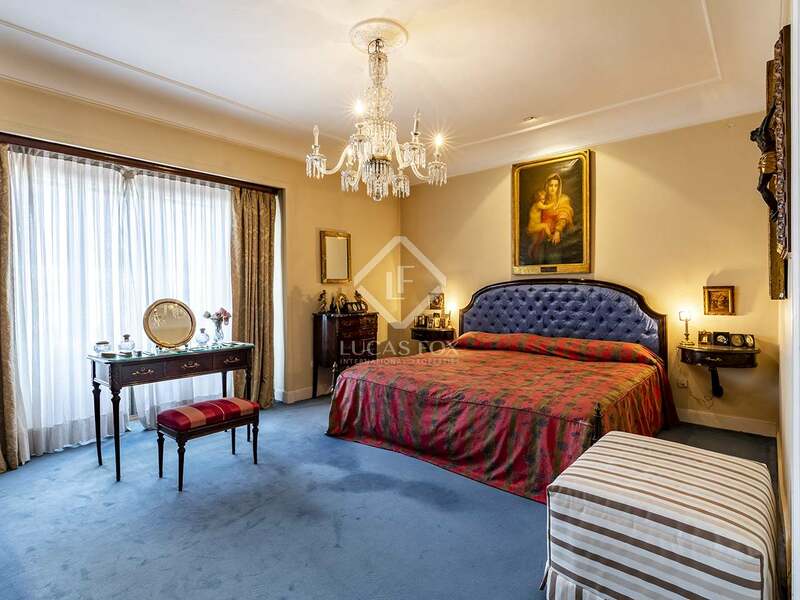 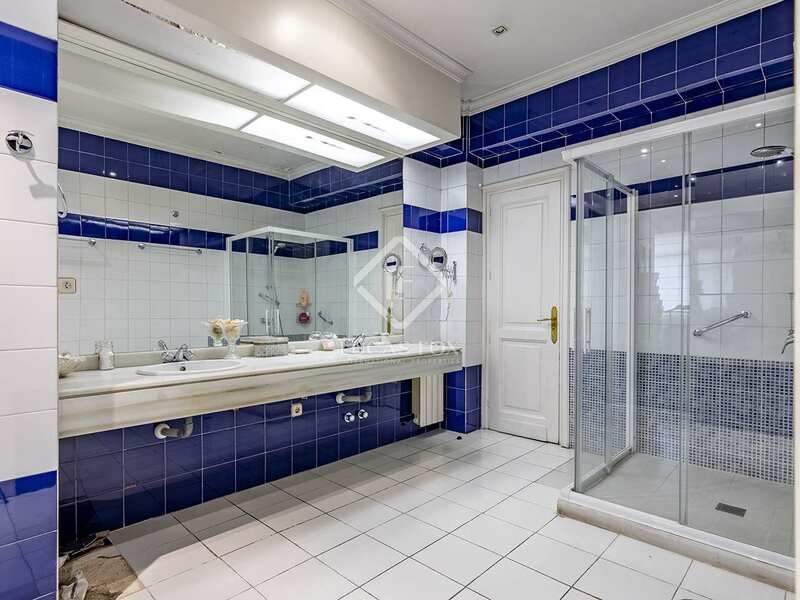 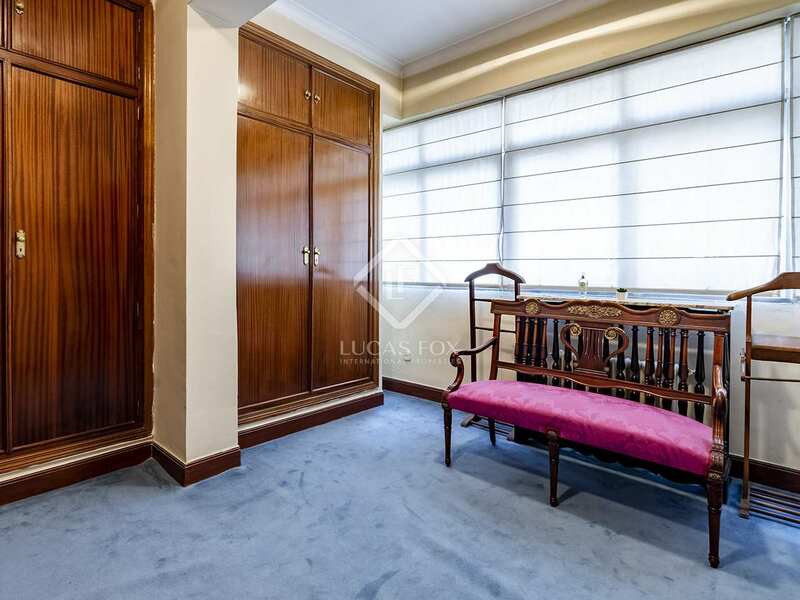 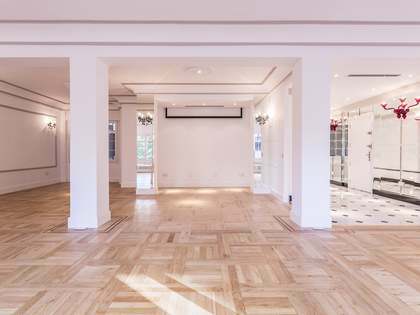 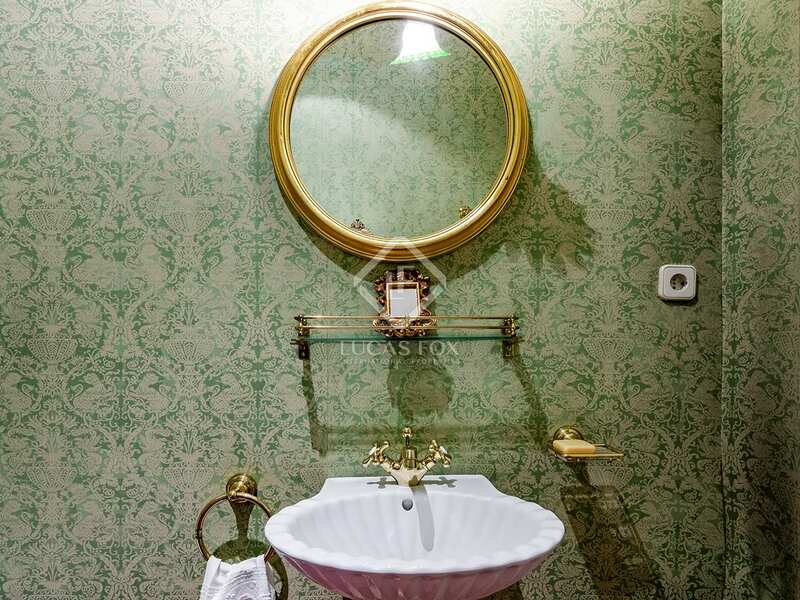 This magnificent 550 m² apartment to renovate is located in a stately building with concierge on Calle Zurbano, one of Madrid's most emblematic streets. 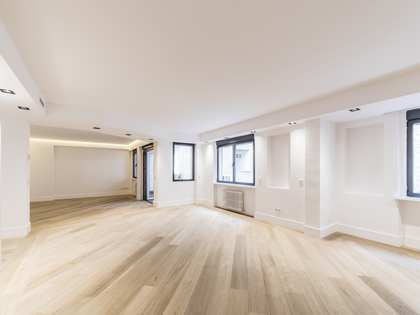 Thanks to its breadth and distribution, the apartment offers infinite architectural renovation options; buyers can create their dream home or divide the property into 2 separate apartments. 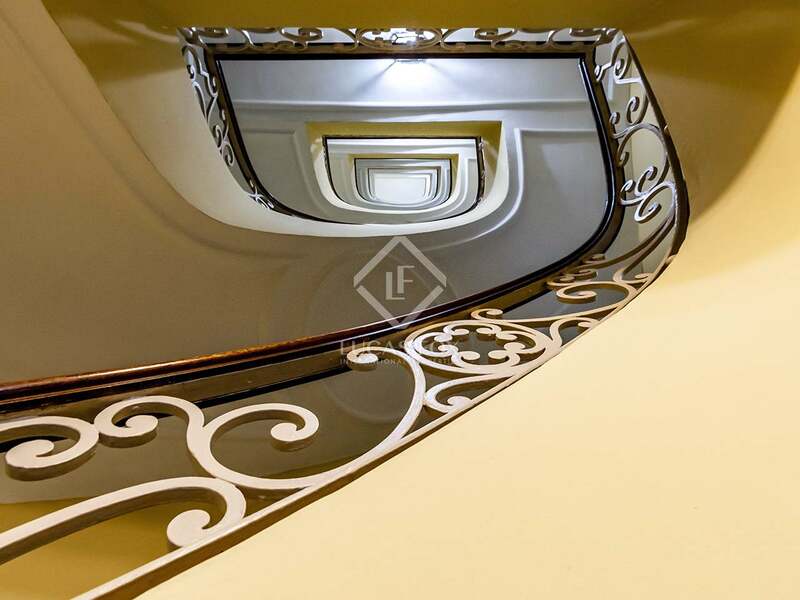 The property enjoys excellent natural lighting thanks to its numerous balconies, all exterior, which face both north and east. 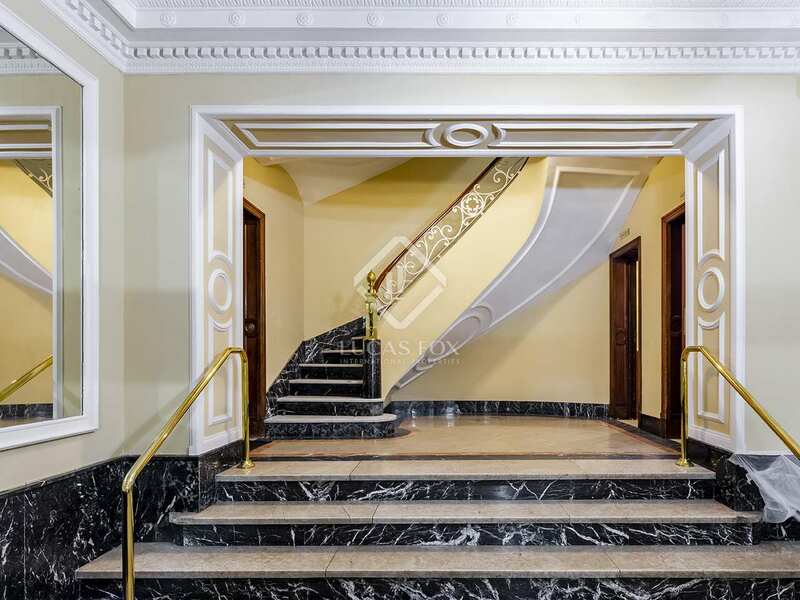 There are 2 independent entrances, one by the main staircase and the other by the service staircase. 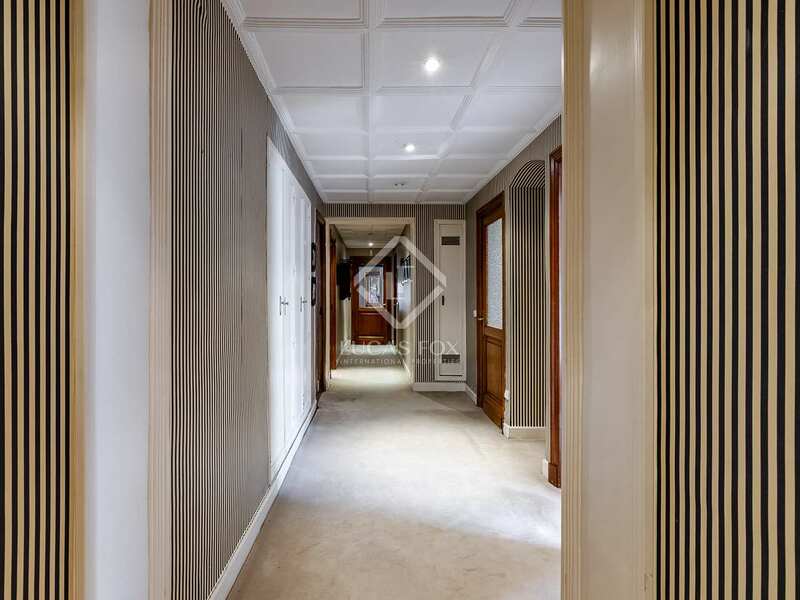 A hallway leads to the 8 spacious bedrooms, 4 large living rooms, kitchen, a pantry, 5 bathrooms, 2 toilets and utility room plus other areas for which the renovation possibilities are endless. 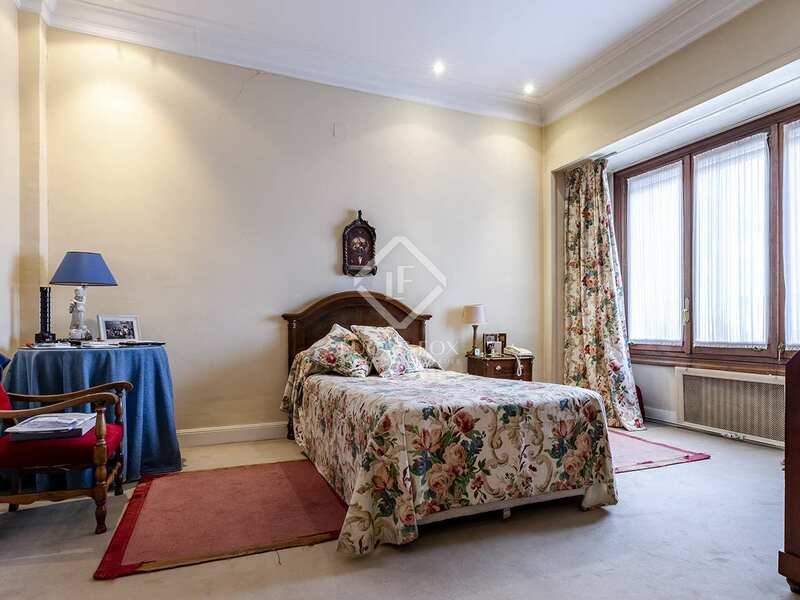 The property has wooden floors and fitted wardrobes. 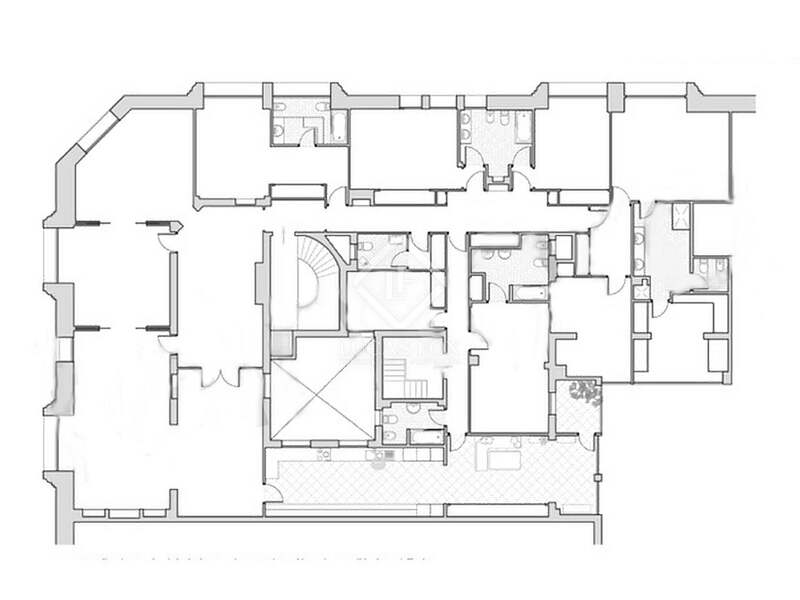 It also includes air conditioning and heating to ensure comfort throughout the year. A parking space for 2 cars is being sold separately close to Calle de José Abascal. 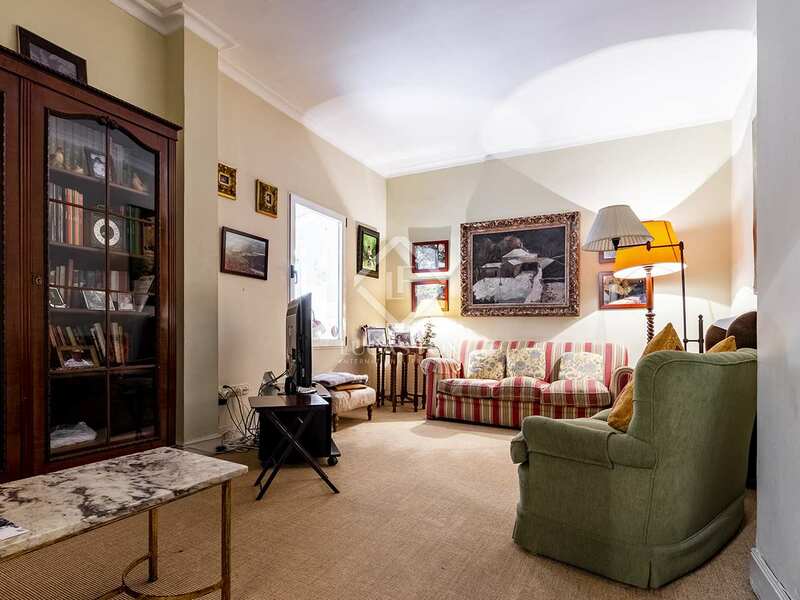 It should be noted that the community owns a rented commercial space and a porter's house that add to the community fees, heating and hot water are included. 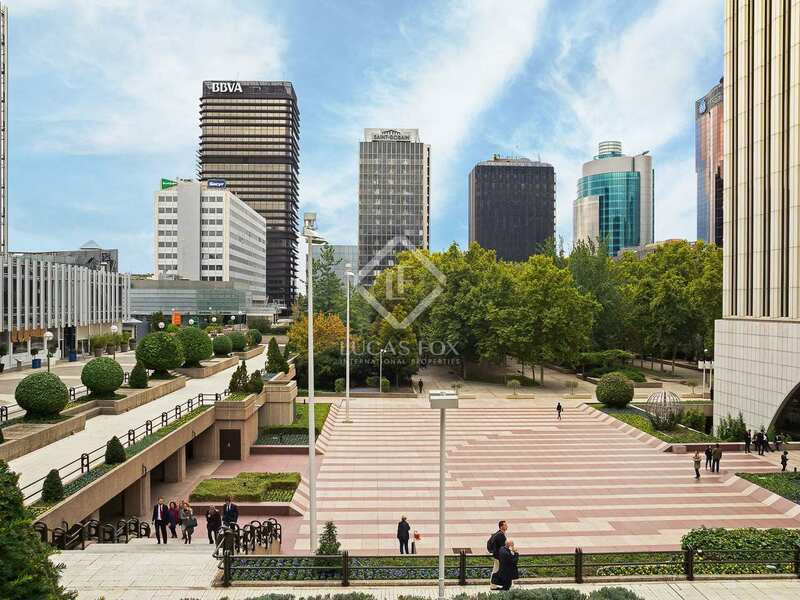 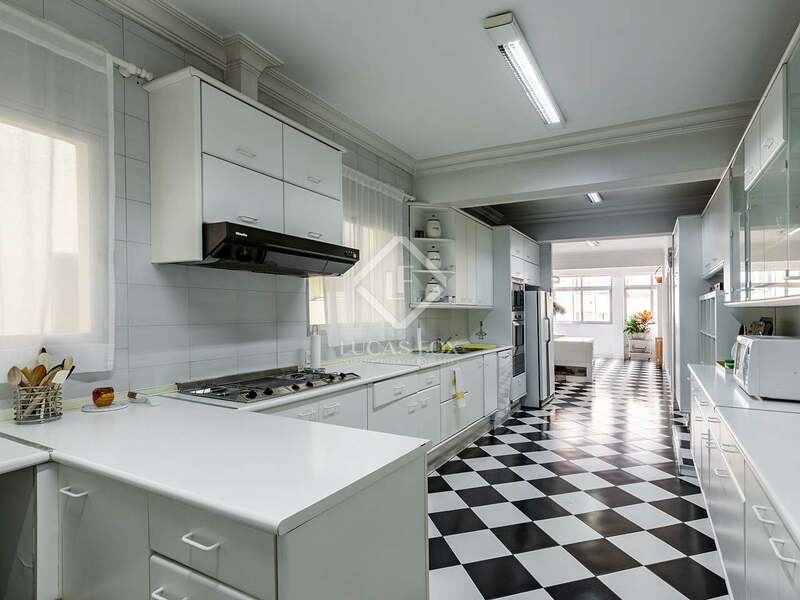 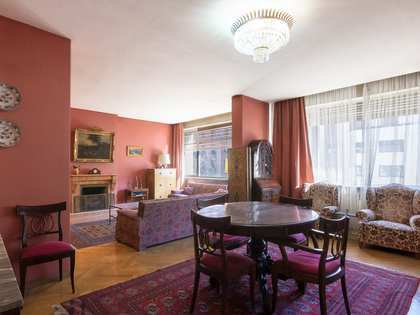 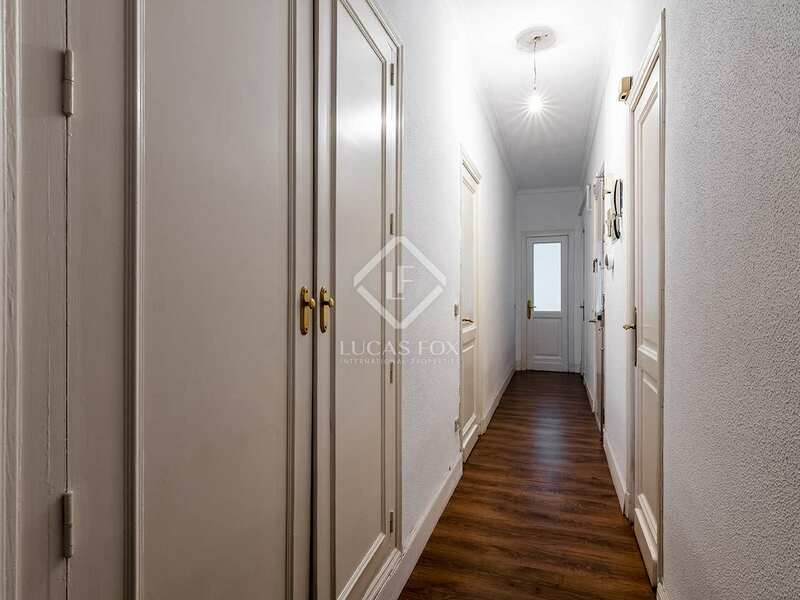 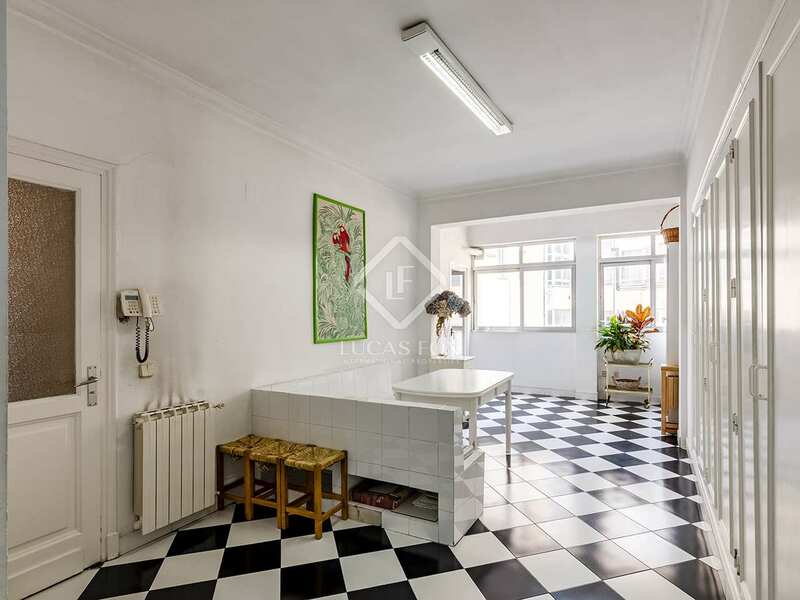 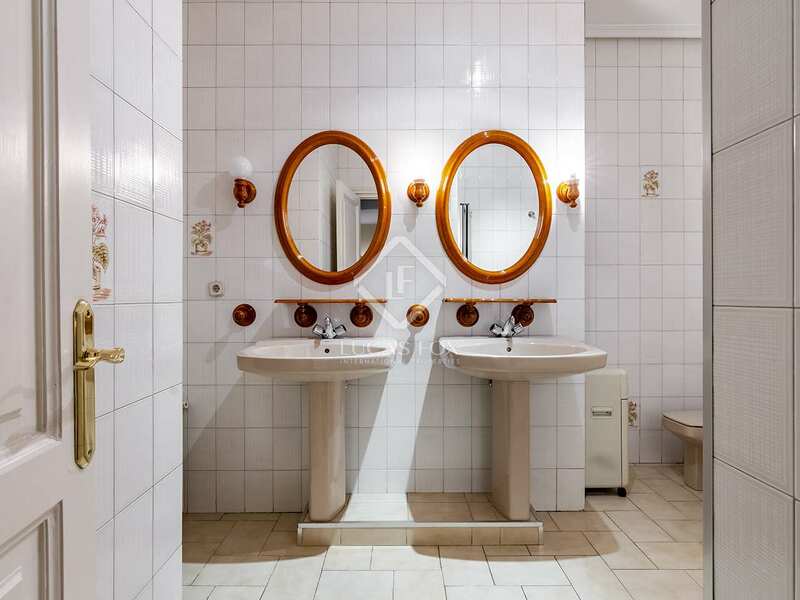 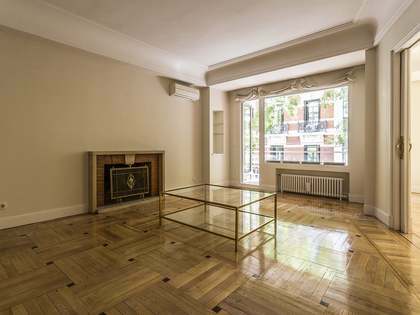 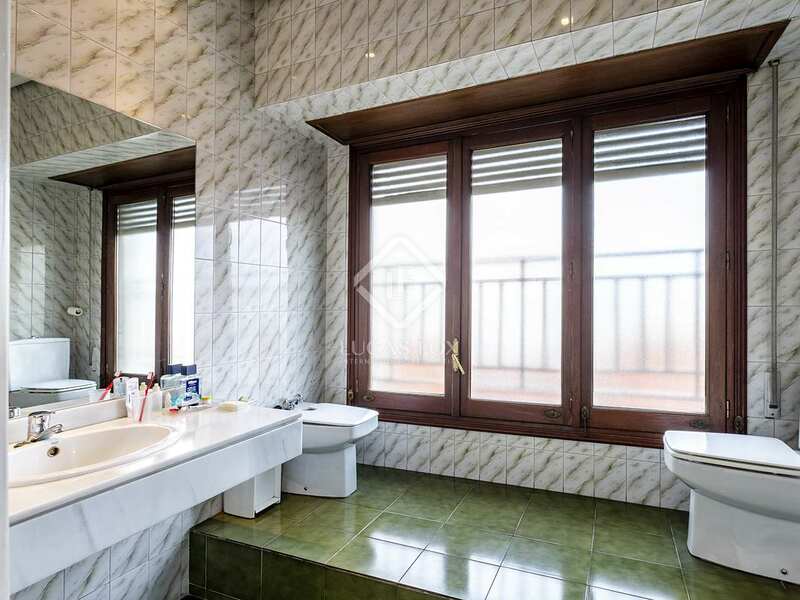 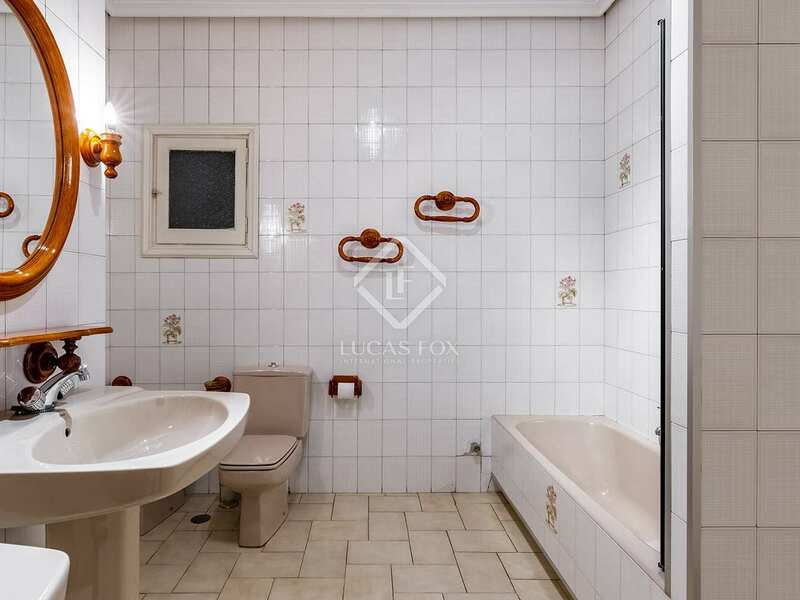 Contact us to visit this apartment with great renovation potential in one of the most emblematic areas of Madrid. 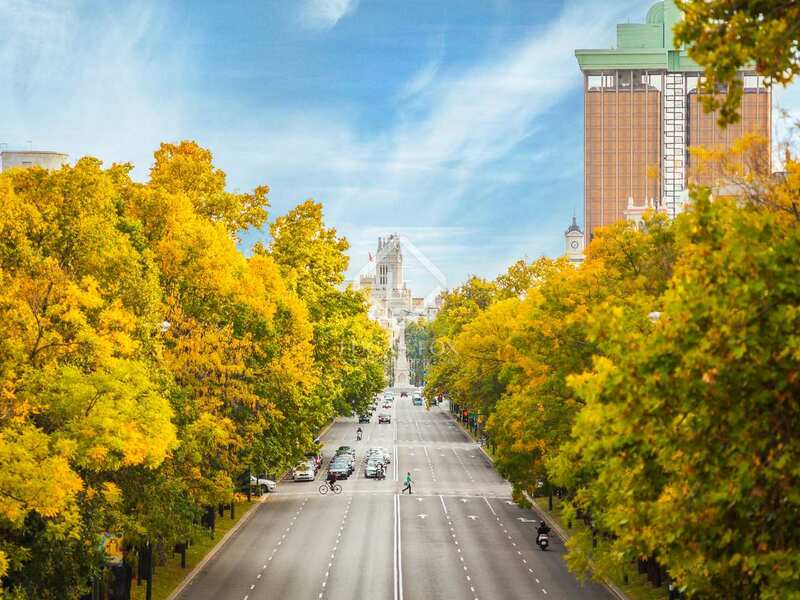 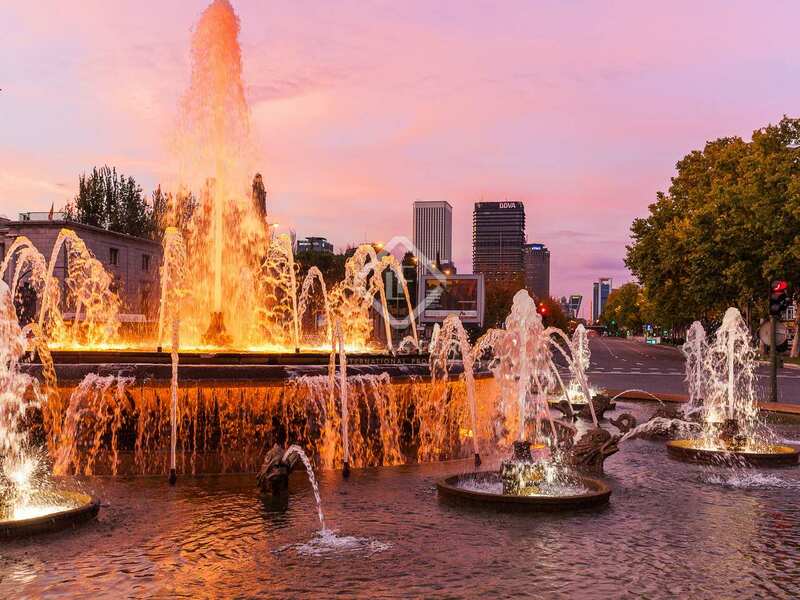 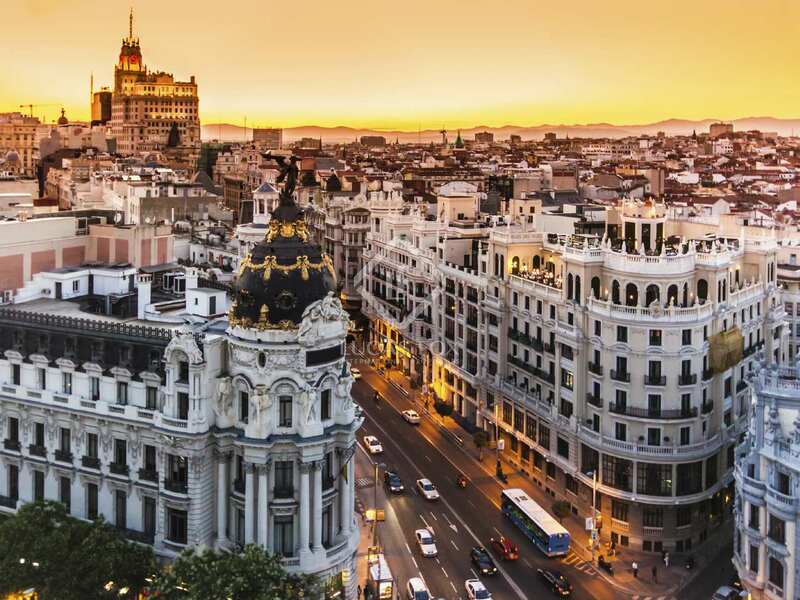 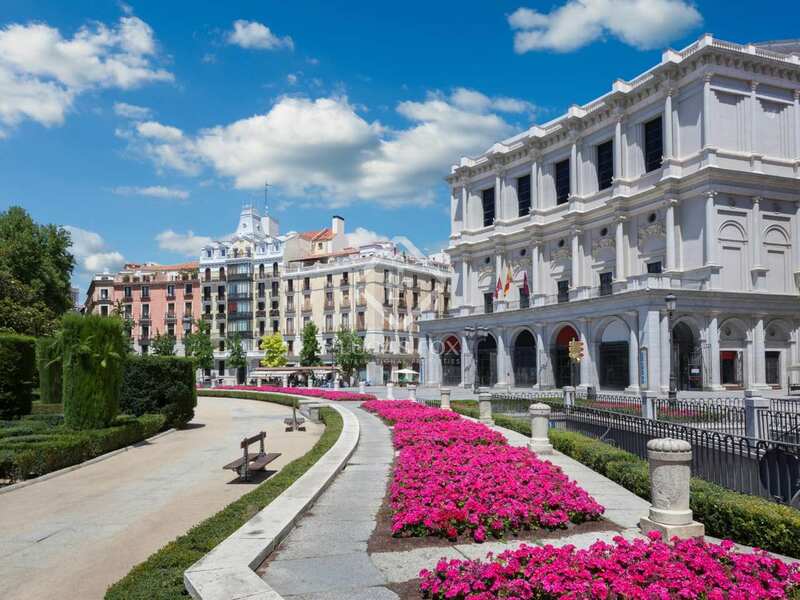 Chamberí is one of the most sought after neighborhoods in Madrid, and offers all kinds of services including restaurants and bars, terraces where you can enjoy Madrid's excellent gastronomy, green spaces, shops, cultural attractions such as museums and theaters. 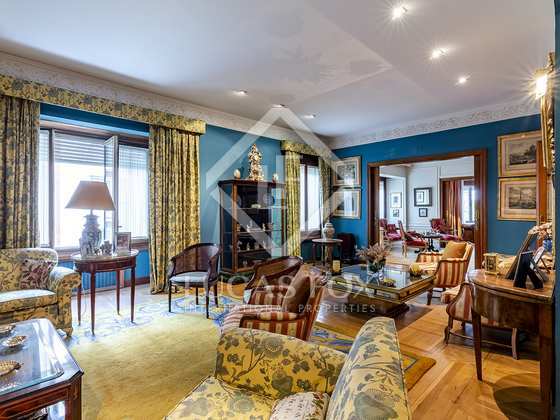 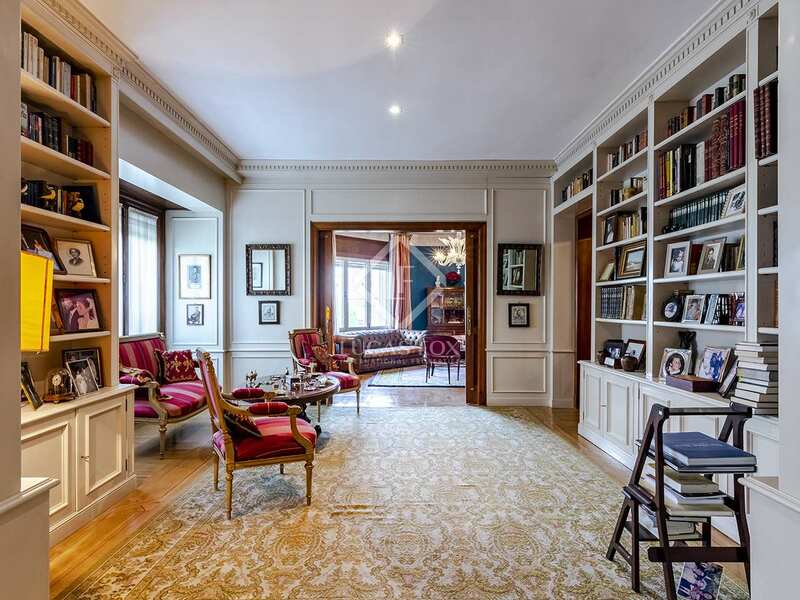 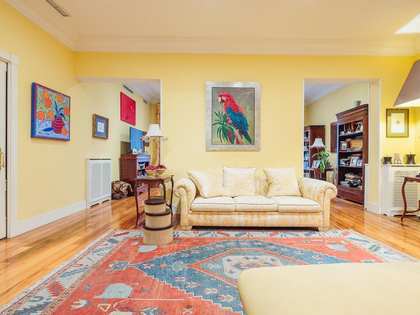 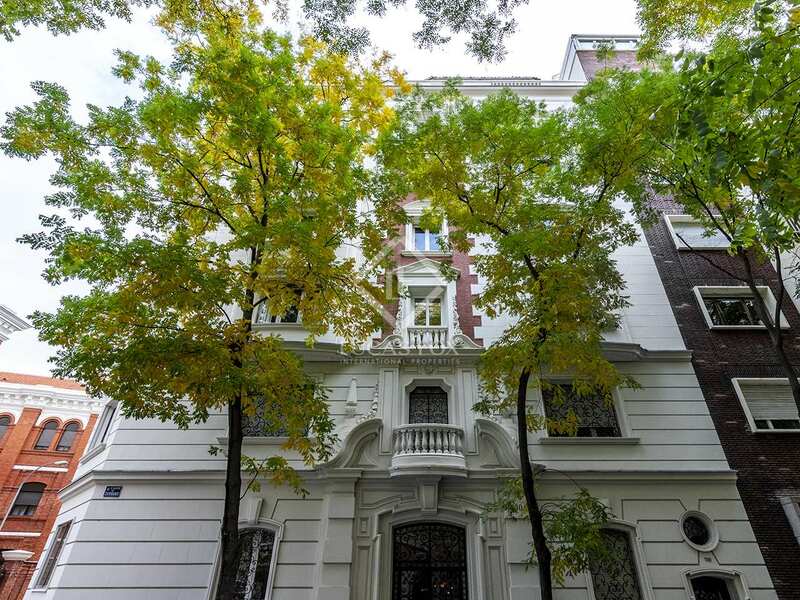 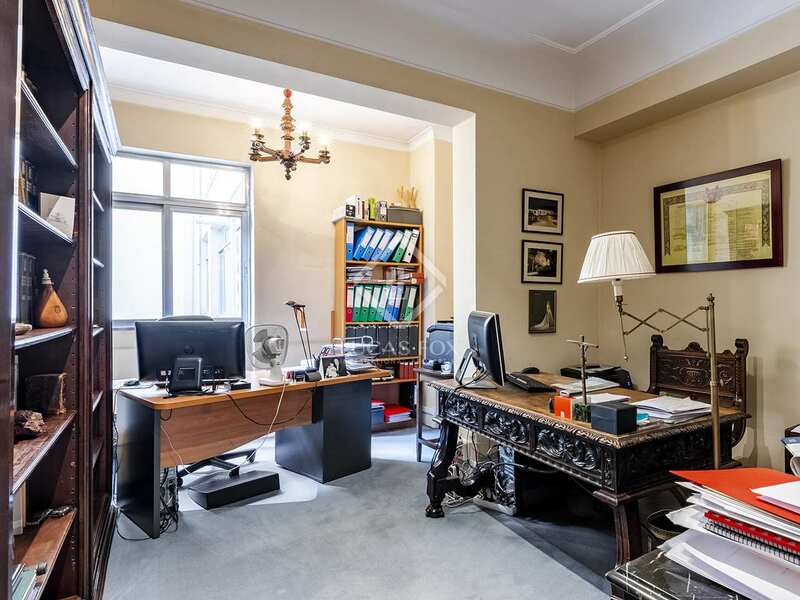 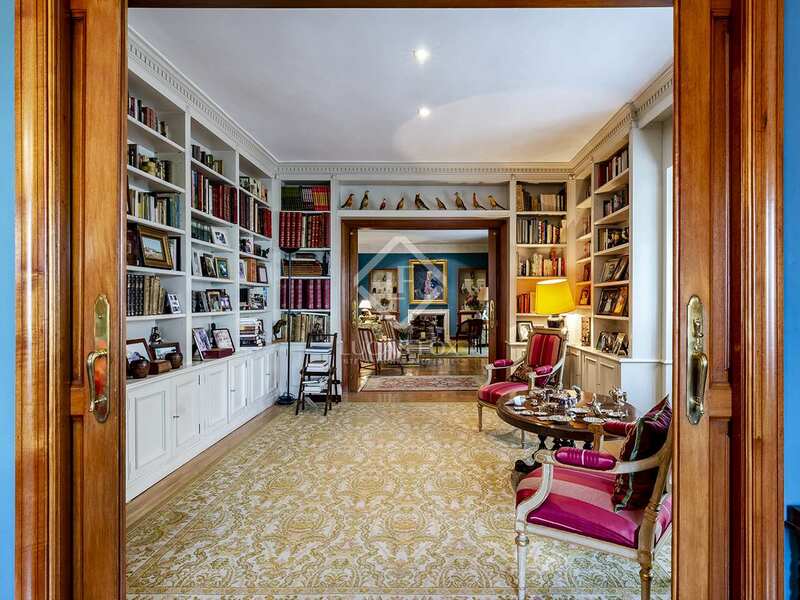 The house enjoys a privileged location, 2 minutes from Paseo de la Castellana. 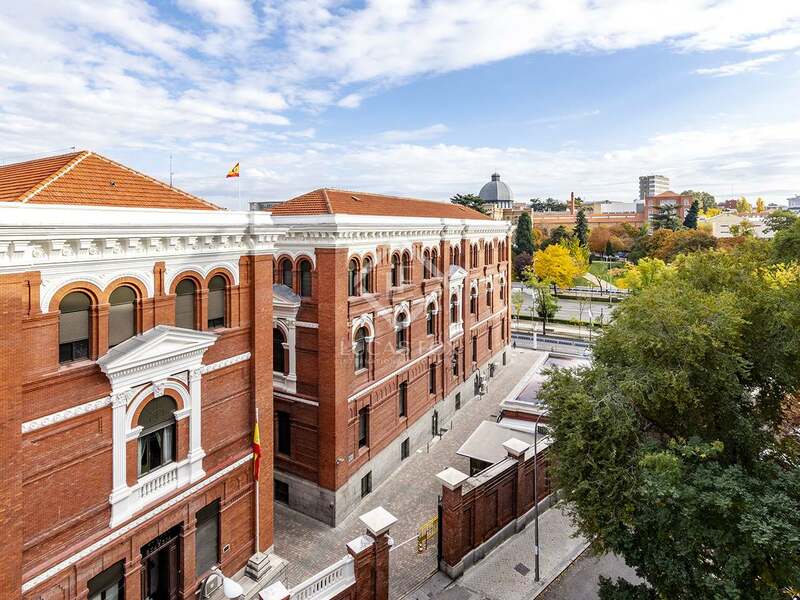 The Nuevos Ministerios and Gregorio Marañón metro stations are within walking distance and the public transport connections are excellent.